The last thing a busy owner or manager needs to worry about is a complicated and unreliable point of sale system. With so many options on the market, how do you choose the right system for your business? 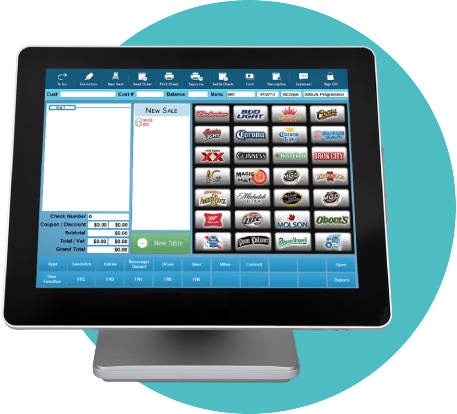 We have over 35 years of POS experience in the restaurant and retail industries, and a wide variety of traditional and cloud-based POS solutions that lets us choose the perfect system to fit your unique business. As you know the main reason we went with DBS was to stick with you and your team. Time and time again you go above and beyond to make things right for Hoss’s and Marzoni’s. Some would even say you give better than expected service! I have been in the restaurant business for 30 years and have had many companies handle my restaurant POS systems, however I have found DBS to be the most reliable, I remember one time my system completely crashed and DBS was able to install a new system and get my restaurant up and running the same day. I don’t know any other company that could have pulled that off. Hello Shannon, Thanks for reaching out to us! Things have been working great with the POS system. I'm really glad we decided on DBS for our taproom. Everyone at DBS has been fantastic. Excellent resource for restaurant point if sales systems. Excellent after the purchase tech support. I have been using your POS system for over 6 years and it's been a real workhorse. Day in and day out with no problems. I just wanted to let you know how much I appreciate everything you have done for me. Fast service and expert technicians. 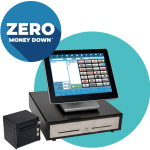 I would recommend to anyone looking for a quality POS system that they go to DBS. Sales and service are what makes the difference.